Beck Hill Working Mans Club. 1970. 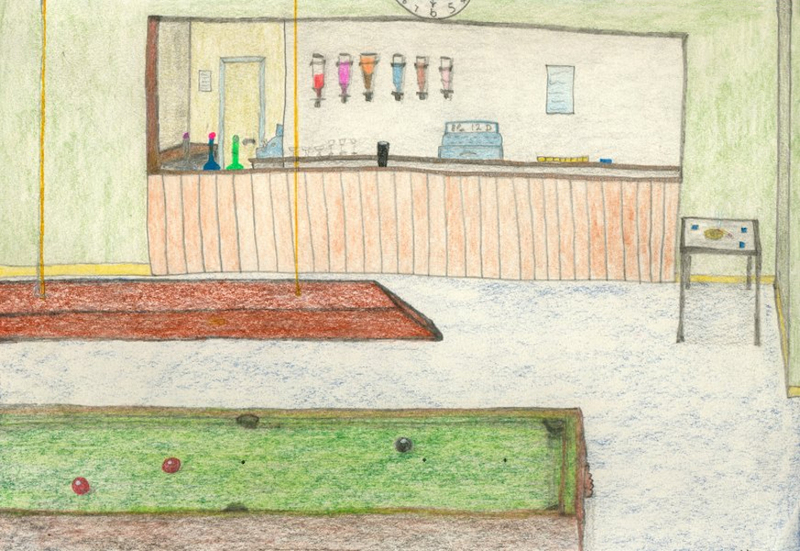 Games room, drawn from memory.